La nostra st Il condominio di George Utah è il perfetto scappare per la vostra famiglia, un weekend con gli amici, o ritiri di coppia. - Scelta 2 grandi piscine e vasca idromassaggio (con piscina per bambini separata), 3 campi da tennis full size, 2 campi da basket Racquetball di grandi dimensioni, biliardo, sala di allenamento, pallavolo di sabbia, basket da basket, percorsi jogging, shuffleboard e parco giochi. - Grande balcone posteriore con vista rilassante con vista sulle palme e sulla piscina. - Splendidamente decorate e ventilatori installati in tutte le stanze. - Letti King in entrambe le camere da letto principale e di ricambio. Più un divano di prelievo. - La vicinanza a sentieri escursionistici, piste ciclabili, Snow Canyon e il bellissimo anfiteatro all'aperto di Tuachan. - entro 1-2 ore dai bellissimi paesaggi del canyon di Zions. We really enjoyed our quick trip here! Lots of great amenities and access to the pool. This is a clean nice condo. The Sports Valley properties is a perfect place for families with so much to do. We had all of the accommodations in our condo we needed and the best part was when we were not traveling to our ball games the boys wanted to stay right here to enjoy the pool, basketball, miniature golf, pickle ball, air hockey and much much more. I will definitely stay again and have already recommended to other family members. 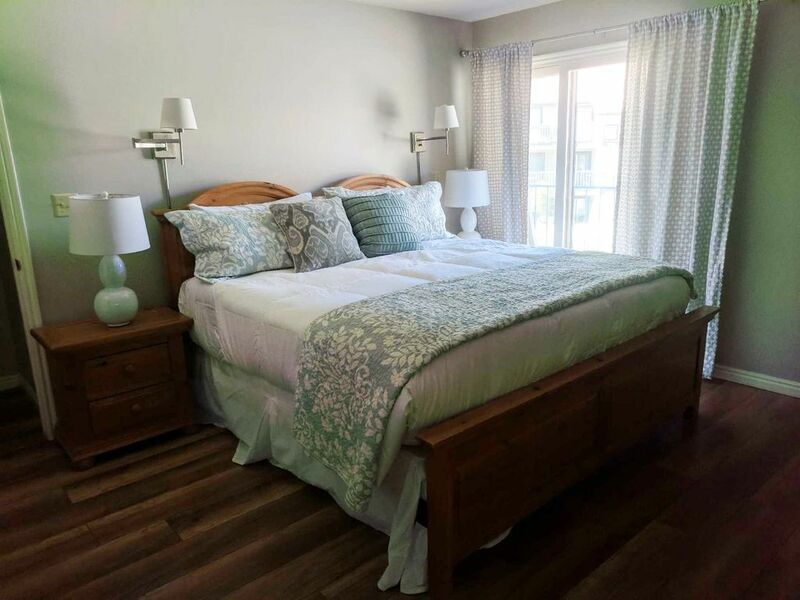 Clean, well stocked, ideally located condo with great amenities. We were totally satisfied! Enjoyed our stay here. The rental was clean inside. The outside was a bit rundown as it was part of a group of 8 plex's. We felt safe and it had a nice view of the pool and tennis courts. Super clean ! Great for our family! We stayed here a couple of years ago and the place was fine for us, but when I walked in I had to double check we had the same one. The owners had remodeled and upgraded most of it. It was super clean and well stocked. We will definitely be staying here again! We really enjoyed our stay here. The condo was clean and spacious. Loved having king beds in both bedrooms. Appreciated the shampoo / conditioner / body wash dispensers in the showers. Fun complex, we played basketball, pool, ping pong, foosball, mini golf, and skee-ball. The only reason I gave 4 stars rather than 5 was because I asked beforehand if there was an indoor pool and the owner said yes, but when we arrived, there were no directions to it and when I asked at the clubhouse, they said they did not have an indoor pool. It was a little cold to be swimming outside in December! But other than that, we really enjoyed our stay and would visit again.